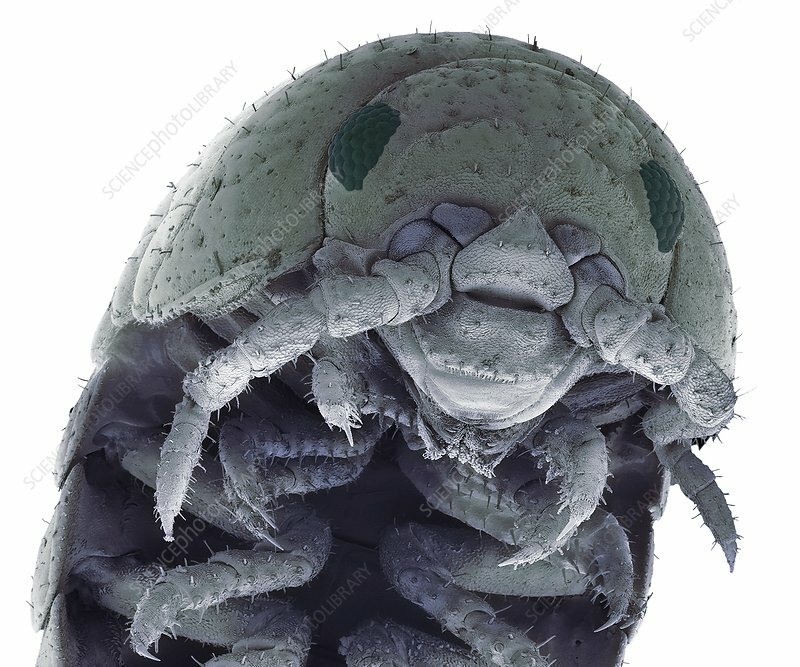 Woodlouse, coloured scanning electron micrograph (SEM). Woodlice (order Isopoda) are terrestrial crustaceans that require damp conditions in order to breathe properly. They feed on dead wood and plants, performing a vital role in the decay cycle. Magnification: x30 when printed at 10 centimetres wide.